Worried about the mortgage crisis? Do balloon payments and rising interest rates have you down? Don’t turn to Fannie Mae or Freddie Mac for comfort. Relief from your high payments can come from a higher, divine source. 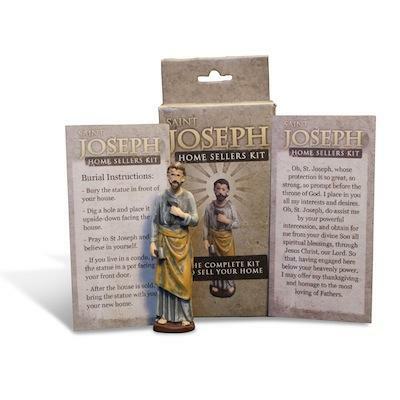 Saint Joseph the Betrothed, patron saint of craftsmen, carpenters and… mortgage brokers can help relieve you of your home and its hihg monthly payments. But how do you get the world’s most famous step-father to work for you? Ancient tradition (circa 1972) holds that burying a statue of Saint Joseph in the yard of your house will make it sell faster that oceanfront property in Arizona that is on the housing market. Burying a statue? It sounds a bit fishy but this is a tried and true, tested ritual. In 1995 Maureen Williams relocated from Los Angeles to Savannah, Georgia. She left her 3 bedroom Craftsman in the capable hands of her friend and real estate agent. After 2 months the home still hadn’t sold and Maureen was going broke keeping up with the payments. 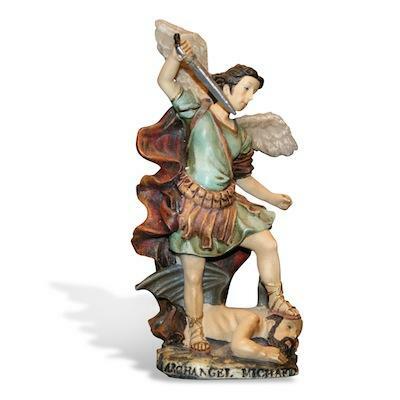 Desperate, she FedExed a plastic Saint Joseph, a shovel, and the promise of a bonus to her broker. 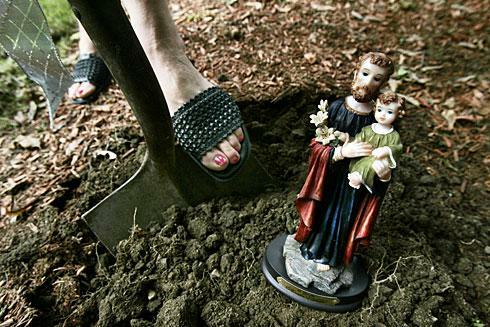 While the agent was outside digging the hole under the For Sale sign a Catholiv priest new to the area was walking by. He saw the sign, the statue and offered full price on the spot. Some say the practice began when a group of nuns looking for a new convent buried a medal of Saint Joseph asking him to intercede. Others say it was German carpenters who started burying the statues around the homes they build hoping they would sell quickly. Dig a hole. There are conflicting views on the best place to dig the hole — some say right under the For Sale sign, others say in the backyard in a flower bed is best, still others say to dig exactly three feet from the back of the house. Perhaps begin with one place, wait a few weeks and move the statue if your house hasn’t sold. Hopefully the numerous holes around the yard won’t affect your property value. 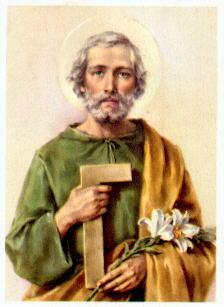 Once the hole is about 12 inches deep place St Joseph in the hole. Againt, there is some debate over his position, though most say he should be placed upside-down (apparently he’ll try harder to get out this way) facing the house. Don’t have him face the street unless you want your neighbours to move. 3. Once your house has sold leave instructions for the new owners to dig up the statue, clean it off and display it prominently on the mantelpiece. Include a shovel and a treasure map in the purchase price. 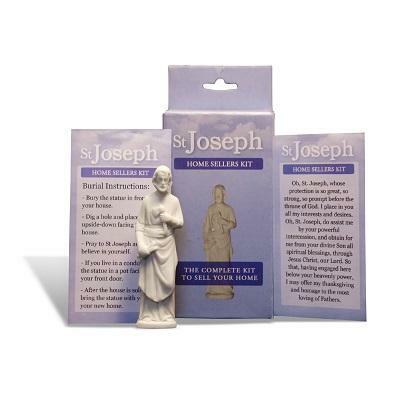 With Saint Joseph on your side your housing crunch woes will be a thing of the past. Now if we could just get him to finish the basement, remodel the bathroom and fix the squek in the front door.